February 2012 – ColePowered Games Ltd.
I’m going to be doing weekly updates from now on, to keep you informed of what I’m working on. This week I’ve been working on a brand new project; Sleigher. 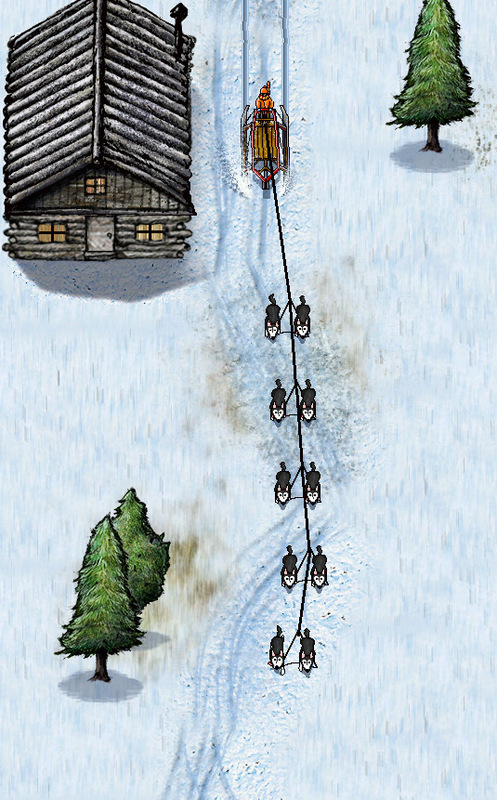 A husky sled game, where the primary goal is to cause as much destruction as possible. It’s a nice, simple concept. I’m aiming for it to be very easy to pick up and play. If MegaCity was my thinking person’s game, this is my idiotic no-brain action arcade game. The engine is mostly done. It works! This is relatively simple to code compared to some of the other ideas I’ve had for new projects recently, which is refreshing. It’s great when stuff just ‘works’. This week in particular, I’ve been drawing up some graphics for the game. I’ve gone for hand-drawn and digitally coloured, the same as I did for a lot of the art in Planet Wars (more on that soon too). I think this may develop into my personal style- I love vector graphics but have never enjoyed creating them, and photo-realism is hard to achieve in 2D- so I’m going with a heavily textured semi-realistic style. In terms of gameplay- I want it to be simple but have depth. I’m going to give the player a load of upgrades to earn by playing the game- crazy upgrades to your sled, upgrades to your dogs etc. Those ideas are under wraps for now and have yet to be finalised. Gameplay modes will range from speed runs, time trials, ‘chaos mode’ (your sled gains speed from smashing into stuff instead of loosing it) and a few others. The game is being developed for iOS, but I’m thinking this could well be my first simultaneous multi-platform release on iOS, Android, Flash and perhaps XBLIG. 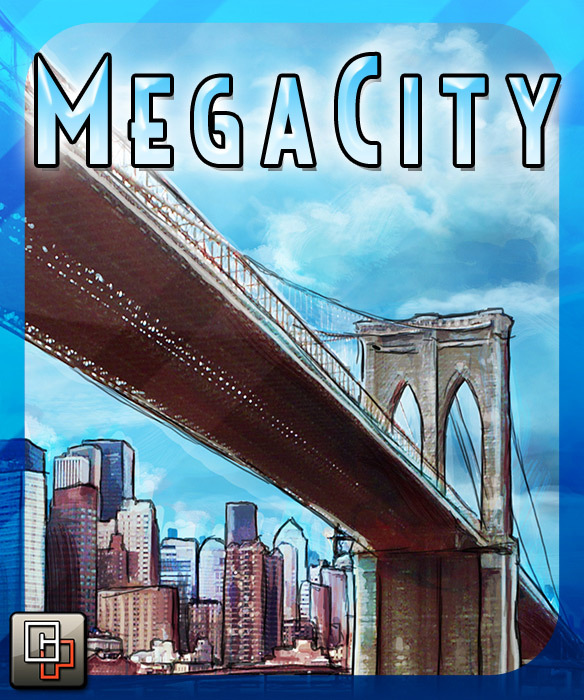 Also this week I’ve been testing MegaCity for Xbox. A release is pretty close, although I said that weeks back and it didn’t transpire; but I mean it this time! So that’s what I’ve been doing this week. Stay tuned for more info + releases!